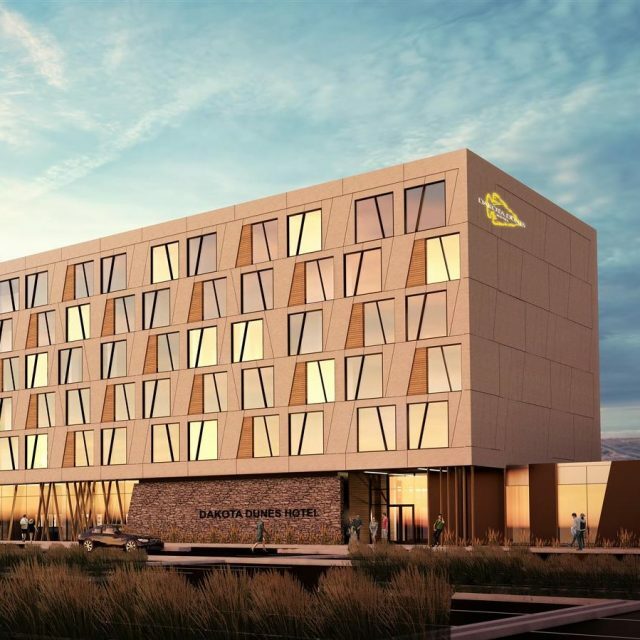 The Dakota Dunes Hotel is a 155-room premiere tourism destination resort located on the historic Whitecap First Nation, south of Saskatoon, Saskatchewan. Featuring Indigenous themes and décor, the project also includes a fitness centre, a business centre, pool, and restaurant. The project is expected to be complete in 2020.